I have been receiving Chelsea related gifts ever since I got my first Chelsea shirt for my 7th birthday in 1993. Since then parents, aunties, uncles, grand parents and more recently the in-laws have used my support of Chelsea FC as an easy way to sort gifts for occasions they want to, or more likely feel obligated to get me a gift. On the whole this is awesome, however once people know you like something whether it be football, a hobby or even just a favourite animal they can latch onto it and can buy you things without knowing if they are relevant or exciting. I have been lucky and received some great gifts, but I have also received some clangers. 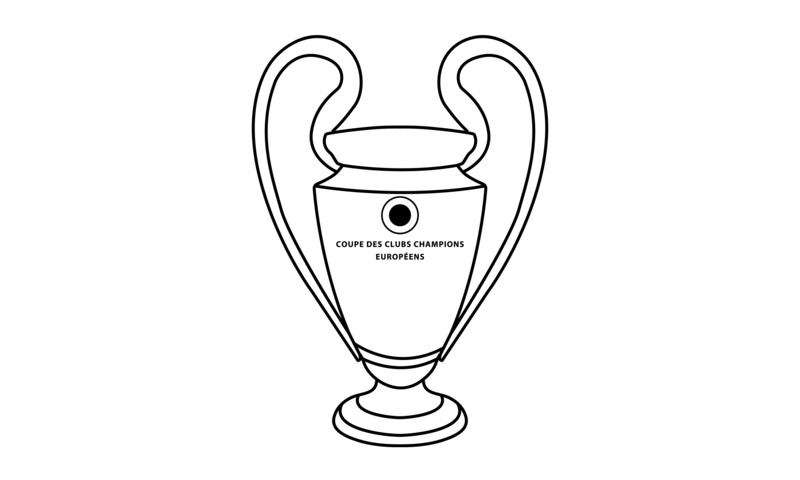 These gifts range from the awesome match tickets, a frame and picture to go with my 2012 Champions League Final ticket to the underwhelming market stall tat with dodgy logos and dubious certificates of authenticity. 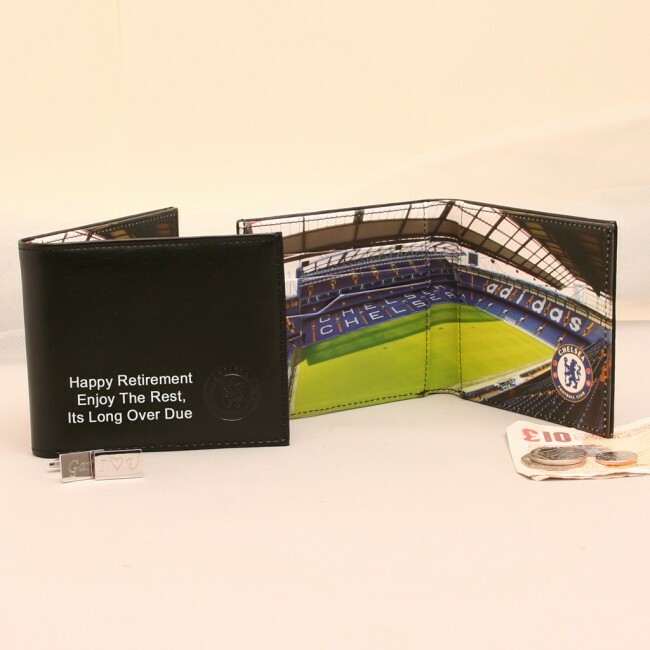 Finding the perfect gift for a Chelsea fan is like finding a gift for anyone. The better you know the person and understand what they like the more likely you are to get a “wow” rather than a “meh” when they open the gift. A good way to do this is to get something different that stands out from the usual stuff. This however can be tricky if your knowledge of the club is not great. It could be easy to mistake different as automatically good, buying something with the face of Diego Costa may be well received in 2015, but will have looked slightly tacky in December 2016. Personalised gifts are always a good way to go as it shows some thought has gone into the gift and makes it unique to the person you are buying it for. Here is an example of something we found that fits the trifecta of being personalised, quite cool and practical for the day to day (it is not sitting on a shelf gathering dust. The Chelsea hierarchy stunned fans this morning 1st of April by announcing that Italian manager has been handed a new five year contract. The club is heralding the announcement as a reward for the club dominating possession and bringing consistency and predictability to the club’s play. Possession is important, we have all the possession and that makes us very happy. We also like the predictability of the substitutions as it allows us to calculate game bonuses in advance. For example we know already that we don’t have to worry about giving Callum Hudson Odoi a Premier League starts bonus. This is very helpful for admin. No-one has bothered to ask the fans their opinion on the manager just yet, so we thought we would find this dated and out of context YouTube video to fully prove our point! Since the days of Chelsea greats John Terry and Frank Lampard leaving Stamford Bridge, England players and future prospects have found it hard to get into the Blues’ first team. As Premier League heavyweights who feature prominently in the betting on a top-four finish at 6/5 most seasons, their scouting network scours the globe to find the best talent in world football. That has often come at the expense of homegrown players, but Chelsea are not alone in that among the elite. Progression from the academy into the senior squad and becoming a regular is one particular problem area, so which England players – and some for the future – need to seriously think about leaving the Bridge this summer? Blues centre-back Gary Cahill has been a tremendous servant, winning every major honour going, including the UEFA Champions League, since arriving in West London midway through the 2011-12 season. He is 33 now, however, and out of contract at the end of the season. Chelsea only give one-year contracts to players over 30 and Cahill has been on the fringes under Maurizio Sarri, who is a strong 1/6 favourite in the Premier League sack race. A change of tactics during the former Napoli manager’s time in charge from a wing-back system to four defenders has also limited the starting places available to centre-halves. At his age, Cahill needs to be playing regularly and, given his impressive CV, won’t be short of offers at home and possibly abroad. David Luiz’s deal with the Blues is also up this summer, so they could lose two senior defenders in the same transfer window. 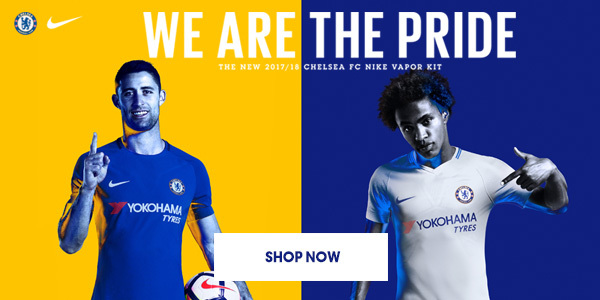 While the former Brazil international has played regularly during Sarri’s tenure, Cahill is behind Antonio Rudiger in the Chelsea pecking order. The Blues also have Denmark international Andreas Christensen and Spain’s Cesar Azpiliceuta who can play at centre back on their books. 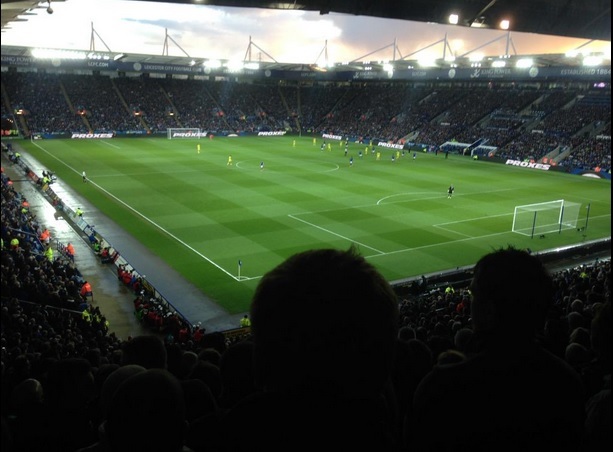 A new trend among English youngsters of going to play in the German Bundesliga has arisen. Teenage winger Callum Hudson-Odoi has seen the likes of Jadon Sancho stealing the show for Borussia Dortmund and has attracted similar interest from Bayern Munich in his services. The Blues stood firm against their overtures in the January transfer window, however, and Hudson-Odoi remains at the Bridge for now. While he’s had plenty of action in the Europa League – a competition which Chelsea are 4/1 betting favourites to win again after previous success in 2013 – his Premier League career is yet to take off. Not only is Hudson-Odoi yet to start a league game but he has not even completed a full half. He’s also seen the Blues buy Christian Pulisic from Borussia Dortmund for next season and could be forgiven for wondering if the American talent will block his own path to progress. Throwing his lot in with Bayern, who are rebuilding their wide options due to the imminent departure of long-serving duo Franck Ribery and Arjen Robben, looks a better prospect. They are favourites to sign Hudson-Odoi at 4/1 and using the best site for free bets for a punt on his next club could prove a smart decision. 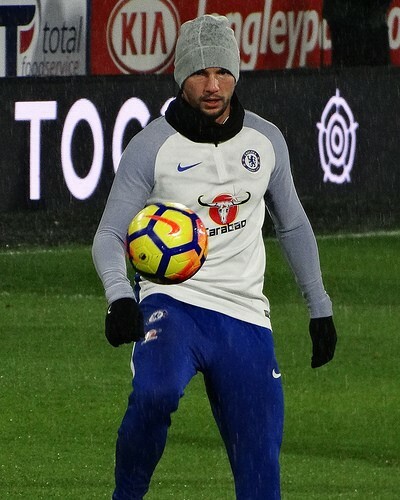 Midfielder Drinkwater has gone from Premier League winning hero at Leicester City to frozen out completely at Chelsea. Having bought France anchor man N’Golo Kante from the Foxes following their amazing against all odds title triumph, the Blues also thought to add his engine room partner. The pair have seldom played together since, however, which doesn’t make much sense given that was the likely intention. It simply hasn’t worked out for Drinkwater at the Bridge and it’s plain he needs to rebuild his career elsewhere. Drinkwater has found competition for a spot in central midfield somewhat cut-throat. Including Cesc Fabregas, who was sold to Monaco in January, he has been competing with the likes of the Spain centurion, Real Madrid loanee Mateo Kovacic, summer signing and Sarri favourite Jorginho, and Ross Barkley for a berth. Another Blues academy product Loftus-Cheek, like Hudson-Odoi, has done his best to take what chances of first-team football have come his way. He hit a hat-trick in a Europa League group stage game but was back on the bench for the next domestic game. That sent a clear message about where the England midfielder, who showed flashes of potential on loan at Crystal Palace last season and at the World Cup in Russia, lies in the pecking order. Loftus-Cheek, to his credit, came off the bench against Burnley and score again, but he’s still had to content himself with being in and out. He’s played a full match just once in the Premier League this season. Loftus-Cheek has got more minutes in Europe in half the games and is often restricted to league cameos in the final quarter of matches. If he’s to fulfil his potential and be an England regular, then a permanent move may be needed. Making the tough decision to leave a big club in search of regular first-team football is a gamble. Loftus-Cheek is 23 now though and has scored Premier League goals for both Chelsea and Palace. 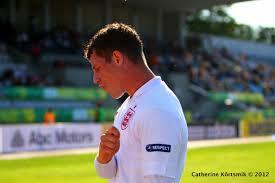 His future is of great potential interest to the national game with Euro 2020 looming on the horizon. Chelsea football club has a problem with antisemitism. That may seem obvious given the reports from the away game at Vidi, but it is really uncomfortable to say as a fan of the club that knows that for a tiny but vocal majority this is true. As a Chelsea fan, I have heard chants that make me cringe in disgust, chants referencing the horrific crimes of the Holocaust that have no place in football or any other aspect of life. 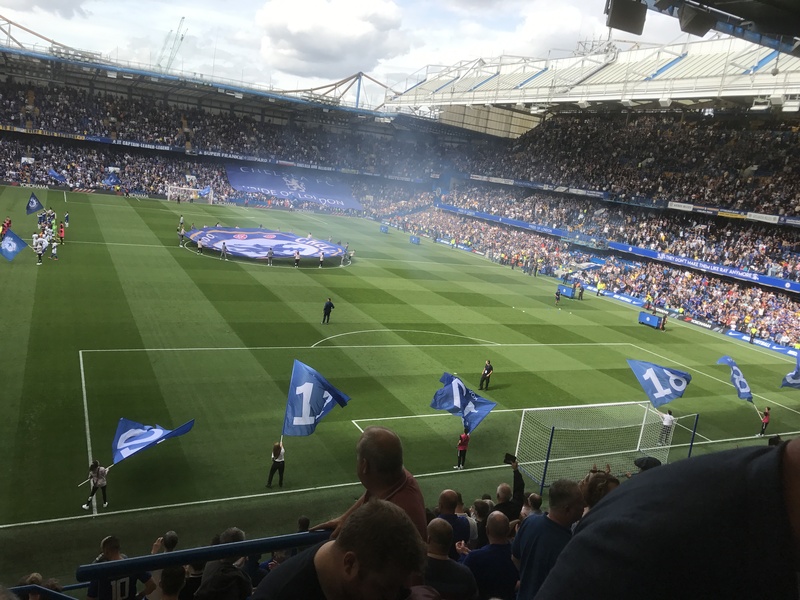 Now let’s be clear these are made by a tiny minority of fans and they are never made at Stamford Bridge or any other UK football stadium for that matter. This is not a culturally endemic state of affairs or the norm, rather an anachronistic throwback to a handful of fans that have not accepted the modern reality that racism of any form is not tolerated in football like it was in the 70’s and 80’s. The club and football authorities have made it clear that this is unacceptable and stamped out the behaviour in the public eye. However the problem is still there and from time to time rears it’s ugly head. The club has a Jewish owner and I am sure the club is horrified to be dealing with another alleged incident in the space of a few days. The problem the club has is that despite huge efforts (it is not often this blog will applaud the club but they have gone all out on this) there is little you can do to stamp out the actions of people in private or thousands of miles from home. Just as you cannot stop what people do on a tube in Paris, you cannot easily prevent what people do in a pub or thousands of miles from home. The club can only keep doing what it is doing and hope that the idiots see enough sense to stop shaming the club. The main problem they have though is that these fans are not casual fans, they are the loudest most loyal fans the club have. Whilst the media may argue that fans that embarrass the club are not loyal. These are people that travel tens of thousands of miles every season to follow the team. Fans that traveled all the way to Budapest to watch a reserve team play out a dead rubber, fans that sing the loudest and create the atmosphere that the corporates love as a promotional tool but have disdain for. A tiny subset of which are responsible for the headlines today. Whilst I was saddened by the reports about what happened in Vidi I was not incredibly shocked as I have heard these kinds of chants a handful of times. For those who might ask if I reported them the answer is no, these acts do not typically take place in football stadiums they take place away from the public eye and it is not as simple as asking nicely or telling a none existent authority figure. The club has a shameful past when it comes to racism (booing our own players in the 80’s) that it has worked so hard to eradicate, it is sad that some have not seen sense. 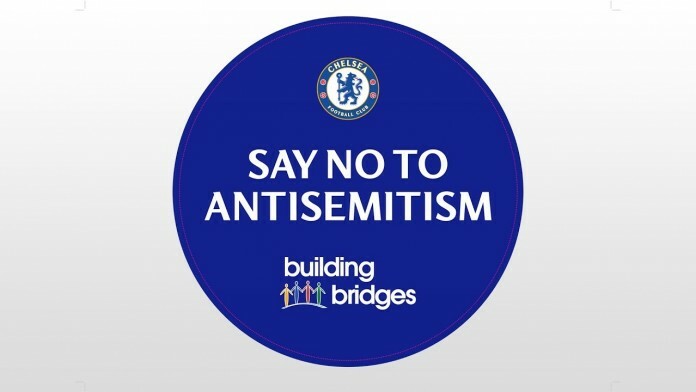 Antisemitism is an ongoing issue of debate as Chelsea fans have historically had a complicated relationship with antisemitism, due in part to the determined use of the word “yid” by Tottenham fans who have a historic connection with the Jewish community. In the modern day, the use of the word persists despite the overwhelming majority of Spurs fans not sharing that historical background. This emboldens idiots to go beyond what they could argue was a grey area (seems clear to me) and argue that these horrific chants are not antisemitic but anti-Tottenham and part of the banter of football. I hope the club can use this publicity to make it clear once and for all this is not acceptable and that we can move past it and focus on what really matters which is football. I say once again this is not what Chelsea fandom is about to me and only a handful of people are once again shaming the club. The confirmation of the death of Leicester City owner will bring back painful emotions for Chelsea fans who remember losing a driving force in our club in similar circumstances two decades ago. Our thoughts go out to the entire Leicester City family including the Srivaddhanaprabha family and we hope the footballing family will support you in this horrible and painful time. the shared traits that both men shared. Leicester City owner Vichai died just days after the 22nd anniversary of the death of Chelsea fan and investor Matthew Harding who was also victim of a helicopter crash. Both men shared more of a story than just the ending. Both went into football clubs with storied pasts but with a complicated situation and helped turn them around with both enthusiasm and investment. Their attitude and actions would lead to the respect and admiration of football fans inside and outside of their clubs. Fans who are cynical at best. The only minor difference is that the success this investment fuelled came before the tragic events of the weekend for Srivaddhanaprabha whilst Harding’s came just month’s after his death. Both men changed football, Harding sparked the revival of a club in the doldrums and put the wheels in motion for Roman Abramovich to swoop in seven years later and turbocharge the foundations his investment had built. Srivaddhanaprabha pulled Leicester back to the division they feel they belong, ended their yoyo to the Championship and back and delivered the impossible. 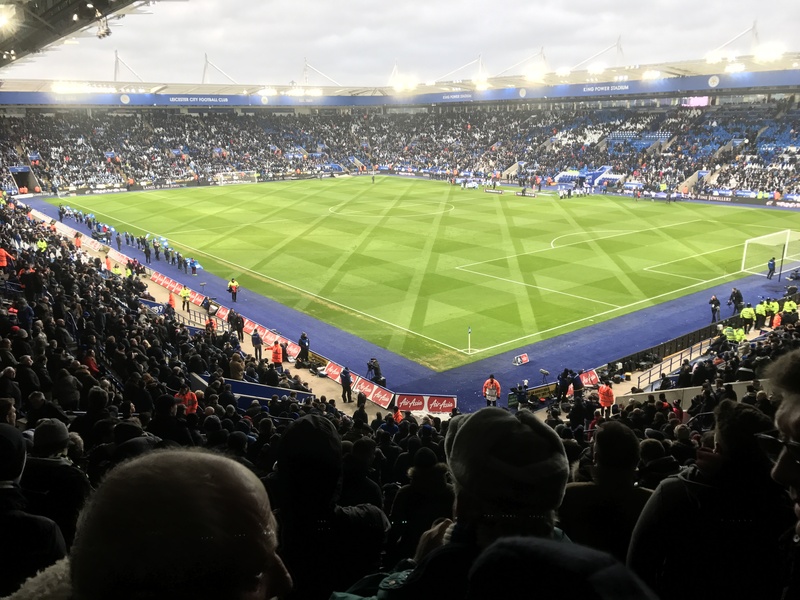 Under a former Chelsea manager Leicester did the unthinkable, they took a team ranked 5,000 – 1 outsiders and won the Premier League title in style. In doing so they got the love and respect of the entire world and it became clearer more than ever Srivaddhanaprabha was more than just an owner. Like Harding you could see that the club meant the world to him, something went beyond the kind gestures of a free pint here or a complimentary pie there. He had become the outsider that had been adopted and made the head of a footballing family. Even with a shared experience, there are no words we can write here that can lessen the pain and emotions fans must be feeling right now. But from one football fan to another we can say, we are devasted for the club, his family and the game as whole. We have all lost a giant. The retirement of Frank Lampard and John Terry and Gary Cahill joining the fringes of the first team has created a lack of English players in the team. Can Ross Barkley or Ruben Loftus-Cheek fill the void? There are a phalanx of young players challenging to keep an English presence in the team. If you signup here to Novibet you would have a hard time betting on who would be the next Englishman to establish themselves in the first team. Whilst there is a strong youth team at the club, genuine challengers for first-team football have been few and far between. With the exit of Gary Cahill becoming more likely as he rides the bench there is a desperate need for English influence on the team. Whilst the goalkeeping, defence, and striking positions have no natural successors from the youth team (except possibly Callum Hudson-Odoi) the midfield and attacking midfield positions have two English players fighting for game time and giving Sarri a selection headache. The Chelsea midfield is very competitive with Sarri enjoying immense squad depth. At the start of the season his two English options Ross Barkley and Ruben Loftus-Cheek were in the weeds with Jorginho, Kovacic, and Kante the preferred starting trio. Both players though have trained hard and been given chances by Sarri to shine and taken them with both hands. Barkley has scored in his last 3 Premier League games including a last-minute equaliser against Manchester United. Against Burnley, he started and scored with an excellent long-range effort to give Chelsea a comfortable lead in the game. Not been outdone Loftus-Cheek has also hit a rich vein of form and put himself back in the selection mix. He scored a hat-trick against Bate Borisov in the Europa League. Despite being dropped for the trip to Burnley he came on after half an hour and scored in the second half of the game to keep the pressure on Sarri for his omission. To get a regular first team place either will have to either convince Sarri they deserve to start ahead of Kovacic or that they can play in the attacking midfield positions ahead of Willian or Pedro. This will be a tough ask but not implausible. Barkley has been played in rotation with Kovacic so maybe he can with consistency make the role his own. Loftus-Cheek replaced Pedro in the first half of the Burnley game which could mean that he could be considered for that role in the future. Ruben Loftus-Cheek kick-started his season with a hat-trick against Bate Borisov to make life difficult for Sarri in Chelsea’s overcrowded midfield. With Burnley up next will he be dropped for the trip north? Thursday’s performance was dominating with Loftus-Cheek looking like he would score every time he touched the ball and he could have had more. It was a huge relief to Chelsea fans who are desperate to see home grown talent established into the first team. The nation is watching as well after England’s inspiring World Cup run. In the squad instead of being sent out on-loan expecations have been high, but so far he has been almost anonymous as Sarri has had a wealth of midfield riches to choose from. For the national team his team mate Ross Barkley has come back to form and kept Loftus-Cheek out of England and Chelsea contention. He is also competing with Kovacic, Kante, Jorginho, Barkley and Drinkwater competing for the midfield slots. Selection in the Europa League was expected and it was clear he needed to do something to convince Sarri he should be in the midfield mix. 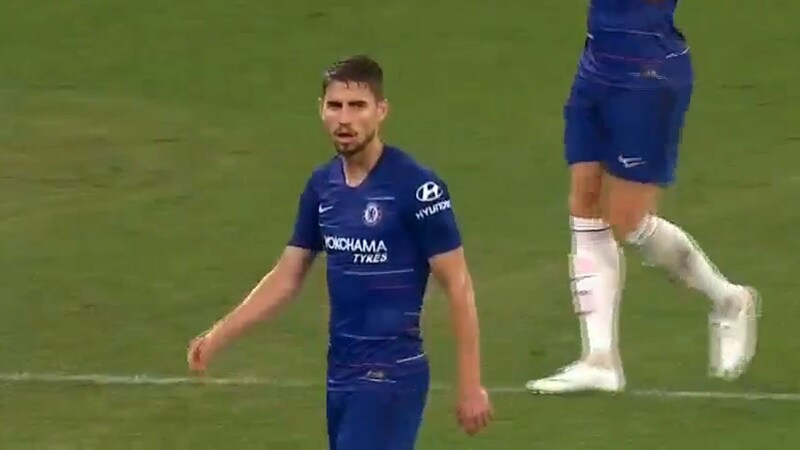 He grabbed this opportunity with both hands and has now left Sarri with somewhat of a quandary. How can Sarri drop the English youngster after he has scored a hat-trick it would surely be some kind of horrific record. The obvious answer is of course, Sarri has started the season well and has free reign with the squad. From a confidence level though, it sends a horrific message to Chelsea’s youth and squad players that even performances will not get you more first team game time. Potential fixes would be to play Kante, Jorginho and Loftus-Cheek with an end to the experiment of playing N’Golo further forward. This would add more balance to the side and get Kante back into the engine room whilst Hazard is supported by a more natural attacking midfielder. We really hope Loftus-Cheek starts against Burnley. Today marks the anniversary of the death of one of the most influential men in the modern history of Chelsea Football Club. He was more than just a businessman with a toy, he was a lifelong fan. Matthew Harding was a Chelsea fan who just happened to be a millionaire with the means to invest money into the club and join the board. 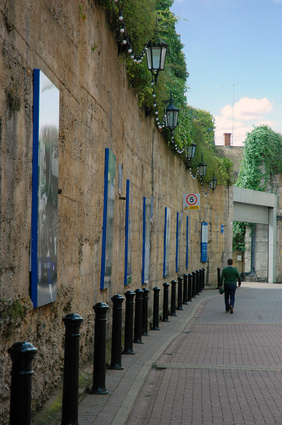 He helped fund the investment in the club that led to the regeneration of the ground and the team. To the frustration of owner Ken Bates, Harding was adored by Chelsea fans who in part saw him as one of their own, someone who loved the team inside out. This and boardroom wranglings made Harding hated by Bates who whilst appreciated by Chelsea fans for saving the club had never been loved by them due to his eccentric and often confrontational relationship with them. Harding was a man of the people who watched games with the fans, whereas Ken Bates was seen as high and mighty and lived in the boardroom. The contrast between the two men could not have been clearer. The boardroom wranglings may have largely been forgotten, but the man has not. Today marks the 22nd anniversary of Harding’s death in a helicopter crash after a League Cup game against Bolton. The club has changed markedly since that fateful night Chelsea FC would not be what it is now without him and the fans know it. 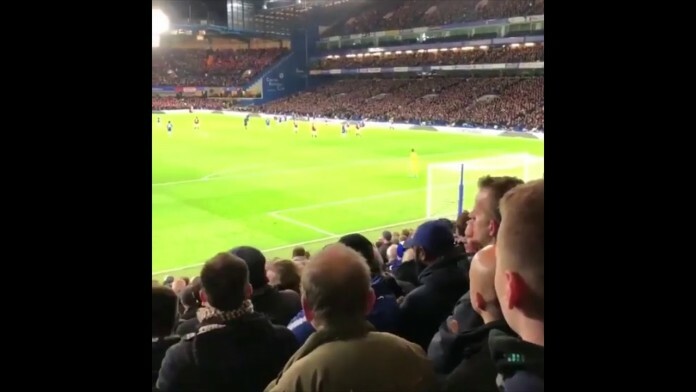 The warmth and love for Harding from fans have not diminished over time, he may be the only Chelsea fan who has his name sung at every game home and away. After his death the North Stand the development of which he helped fund to be named in his honour in an emotional ceremony against Tottenham just days after he died. 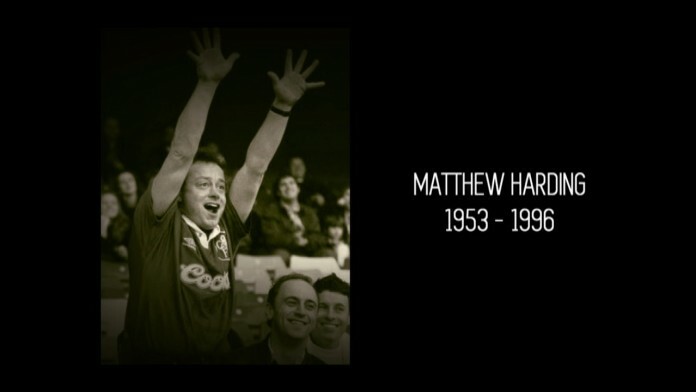 Chelsea fans all over the world remember fondly the fan Matthew Harding. Matthew Harding’s Blue & WHite Army! It may be early in the season still, but the Blues have come out with something special this year — an attacking mindset, a cohesive team, and a star player in possibly the form of his life in Eden Hazard. All that adds up to create something that should be capable of beating any club they come up against. And, though it may not mean much yet, Chelsea now find themselves at the top of the league with favourites Manchester City, and last year’s winner Liverpool, after those teams met in a drab match last weekend that culminated in a draw. Chelsea, on the other hand, put three unanswered goals past Southampton with a fantastic performance, and they just seem to be getting better and better as each match goes by. It’s surprising looking at premiership predictions from Betfair in light of all this. While Chelsea’s odds to win outright aren’t bad (15/2), Man City and Liverpool have both been given much shorter odds, with 4/6 and 5/2, respectively. But of course, odds aren’t everything and Chelsea will be looking back at their performance against Southampton with a lot of confidence and much to be happy about. Perhaps the thing they can be most pleased about was the performance of Ross Barkley in the midfield, which won him high praise from the head coach Maurizio Sarri. Not only did he set up The Blues’ first goal, beautifully put away by danger man Hazard, he also went on to score himself, becoming the first English Chelsea player to do so in the Premier League since a certain Frank Lampard did the same way back in December 2013. Barkley’s performance prompted Sarri to say that the player will be an extremely significant asset to the England side. Hopefully, he’s right. Ross Barkley is the first Englishman to both score and assist in a Premier League game for Chelsea since Frank Lampard in December 2013 vs Sunderland. But in the meantime, Chelsea have so much more to be happy about. They’ll look forward to hosting the out of form Manchester United on October 20 and will be looking to repeat their performance against Southampton. The only thing they may not want to emulate from that performance was a few defensive errors. There were times where they did not look as solid at the back as they should have been and they were lucky to watch a poor Danny Ings effort sail over the crossbar. Equally, goalkeeper Kepa Arrizabalaga showed some real promise, picking up the pieces and seems like the kind of player Chelsea will be able to rely on to get them out of sticky situations in the future. Ultimately, it probably is too early to speculate as to whether Chelsea can win the league this year. What we can say though, is that they’ve shown great promise at the start of the season and their attacking play is both exciting and clinical. Judging by their start, it shouldn’t be too much of a stretch to expect the boys in blue to fetch a top-four finish. Either way, what a season we have in store with three undefeated teams at the top of the table and a lot of talent on display at Stamford Bridge. Top of the table after eight games, fans and pundits still don’t think Chelsea will challenge for the title this season, results, and style suggest it is time to change that thinking. 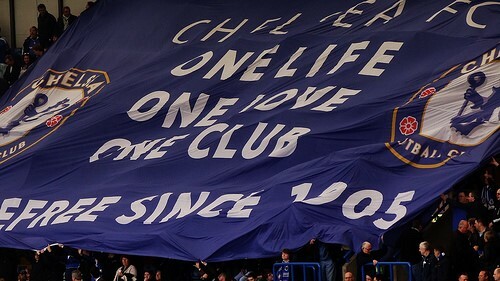 The season may still be young but there is a level of optimism about everything Chelsea at the moment. The results speak for themselves; 8 games, 6 wins and two draws. A run that has seen the Blues beat Arsenal and come close to defeating an otherwise rampant Liverpool. Before the season began the Premier League best predictions were that Manchester City and Liverpool would go toe to toe fo the title with Chelsea, Manchester United, Arsenal and Tottenham battling it out for the other two Champions League spots. Liverpool and Manchester City have met this expectation so far with both clubs sharing the lead at the top with the Blues on 20 points apiece. Manchester United have struggled under Mourinho, whilst Tottenham and Arsenal sit just two points behind the league leaders. Sarri has so far continued to dismiss the prospect of a Chelsea title challenge but there are plenty of reasons to be optimistic. Sarri may have arrived late to Cobham after the World Cup, but he has been given a few talented new players to work with and they have hit the ground running. Kepa Arrizabalaga has made Thibaut Courtois a long lost memory, Jorginho is making the midfield sing and Kovacic looks like an incredible player considering he is on loan as a makeweight in the Thibaut Courtois sale to Real Madrid. Chelsea have not played with such an attacking style of football in over a decade. Against Southampton there were 31 passes across both sides of the pitch before Alvaro Morata was played in to score the third goal. The Blues look solid on the ball and have so far provided goals to match the slick passing and fancy flicks, fans are excited and it translates to results. Despite his attention being slighty turned by Real Madrid, Eden Hazard has taken his game to the next level since returning from the World Cup. He has scored 10 goals across all competitions and been the match winner on multiple occasions. His opening goal against Cardiff was magnificent and he seems to be on a one-man crusade to score the goal of the month every time he steps onto the field of play. Chelsea have one of the strongest squads for a Premier League season since the Mourinho era with depth in every position. In goal Callabero, Green and Bulka sit basking in the talent of Kepa, in defence Gary Cahill and Andreas Christensen are warming the bench behind Rudiger and Luiz. In midfield there is an embarrassment of riches with Kante, Jorginho, Barkley, Loftus-Cheek, Pedro, Willian, Drinkwater, Kovacic and Hazard all able to be rotated and rested as required. A key development has been the fitness and emergence of Ross Barkley who is being tipped for great things by Eden Hazard. His form has seen him return to the England squad and onto the scoresheet against Southampton. Up front we have a £57m striker just finding his feet after a rough couple of months who is being pushed all the way by Olivier Giroud who offers a different kind of tactical option for Sarri to unleash from the bench. Already in the Europa League we have seen key names like Kante and Hazard rested or even left at home when traveling across the continent for games. With advancement to the knockout stages with games to spare extremely likely the squad is likely to be well rested heading into crunch games over Christmas. The squad depth is matched by a lack of Champions League football which means that despite the number of games Sarri is going to be more empowered to rotate the squad.